A super British circa 1960 oil on canvas by Douglas Falconer. 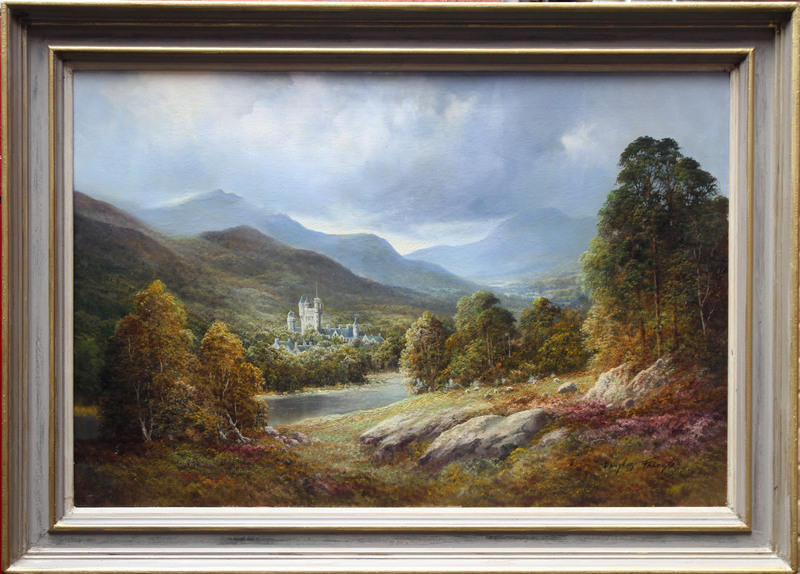 The painting depicts a colourful, vibrant large landscape at Balmoral, the Queens Scottish estate. 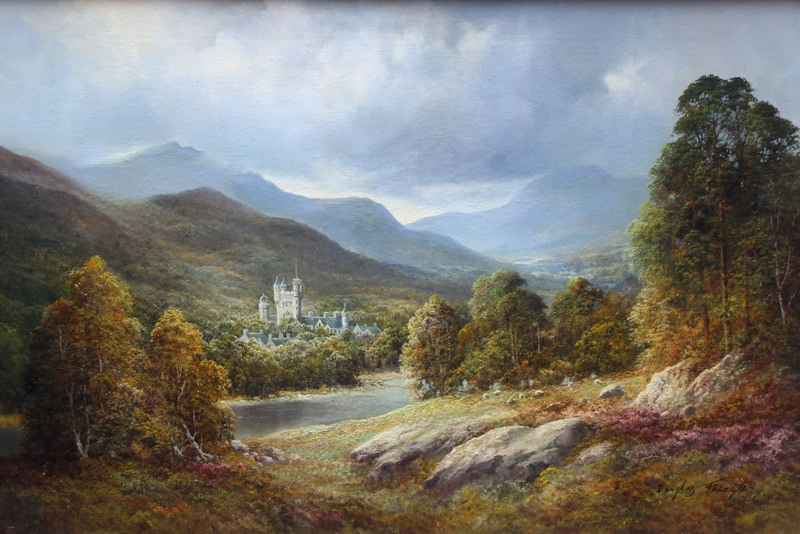 A very beautiful painting of the Scottish landscape. Signed right. Housed in a gallery frame, 42 inches by 30 inches approx. Excellent condition.